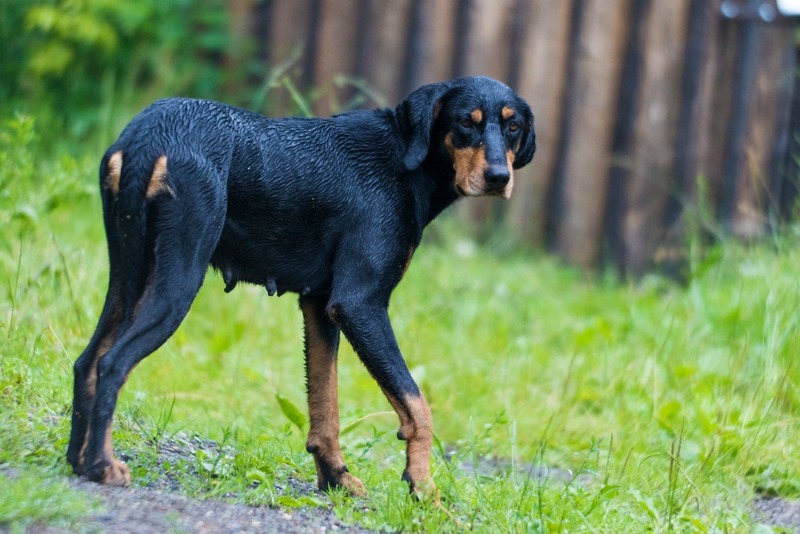 This month’s rare dog breed is the Transylvanian Hound. The Transylvanian Hound is a scent hound and is an ancient dog breed of Hungary. This breed was historically used for hunting. They are a strong medium sized hound, characterized by its black body with tan and sometimes white markings on the muzzle, chest and extremities, and distinctive tan eyebrow spots. This breed was rescued from extinction by focused breeding efforts in the 20th century. There were formerly two varieties of the breed, tall and short, developed for different kinds of hunting. Only the tall variety survives today. The Transylvanian Hound has two different coat types. The smooth, silky coat, and a rougher longer coat. Both can tolerate rough weather conditions, although the longer rougher coat is best for these conditions. The Transylvanian hound grows anywhere from 55-80 pounds, with a height of 22-26 inches. 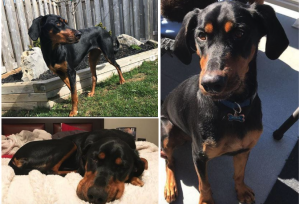 They are very similar looking to a Doberman, with a barrel chest and long face, although they have floppy hound ears. The Transylvanian Hound is a fast runner and has an extremely enduring gallop. They are very athletic, lean and muscular dogs. This breed is known to be good-natured, courageous and enduring. Our Client Care Representative, Brooke, has a Transylvanian Hound at home and describes the breed as very lovable. Her Transylvanian Hound, Koda, loves affection and snuggles and is a loyal companion. She is very intelligent and has a natural hunting instinct and loves to dig and hide cookies and go back for them later. She does not bark unless protecting her home, or when excited.